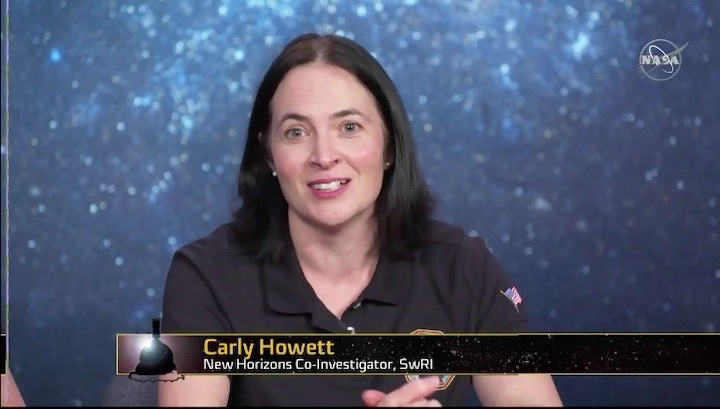 The New Horizons spacecraft will continue downloading images and other data in the days and months ahead, completing the return of all science data over the next 20 months. When New Horizons launched in January 2006, George W. Bush was in the White House, Twitter had just been launched and Time Magazine's Person of the Year was "you — all the worldwide web users." Nine years into its journey, the spacecraft began its exploration of the Kuiper Belt with a flyby of Pluto and its moons. Almost 13 years after the launch, the spacecraft will continue its exploration of the Kuiper Belt until at least 2021. 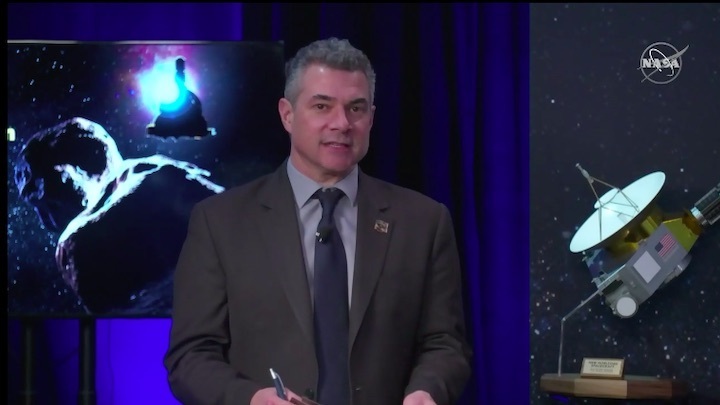 Team members plan to propose more Kuiper Belt exploration. The Johns Hopkins Applied Physics Laboratory in Laurel, Maryland, designed, built and operates the New Horizons spacecraft, and manages the mission for NASA's Science Mission Directorate. The Southwest Research Institute, based in San Antonio, leads the science team, payload operations and encounter science planning. New Horizons is part of the New Frontiers Program managed by NASA's Marshall Space Flight Center in Huntsville, Alabama. 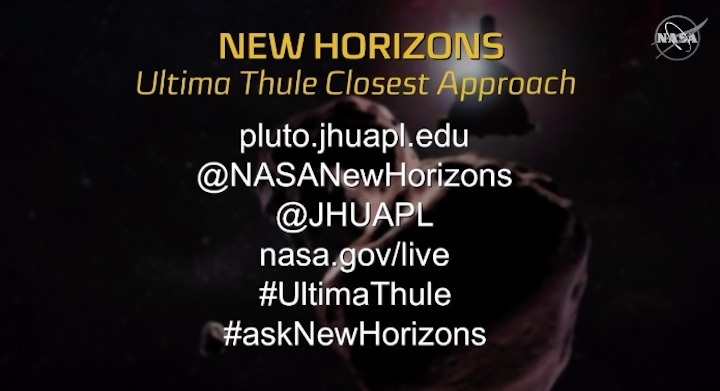 Follow the New Horizons mission on Twitter and use the hashtags #UltimaThule, #UltimaFlyby and #askNewHorizons to join the conversation. Live updates and links to mission information are also available on http://pluto.jhuapl.edu and www.nasa.gov. Success! 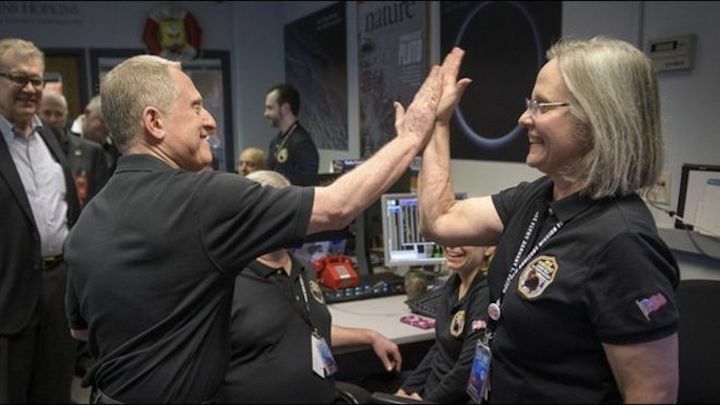 Mission team members and leadership revel in excitement as signals confirming @NASANewHorizons is healthy reach the mission operations center at #JHUAPL. The spacecraft will continue downloading images of #UltimaThule & other data in the days and months ahead. Nasa scientists are celebrating after a spacecraft “phoned home” to confirm it had successfully performed the most distant space flyby in history in the early hours of New Year’s Day. Thousands of photographs of the dark, icy space rock called Ultima Thule were snapped by the New Horizons probe as it barrelled past it on the outer edge of the solar system at 0533 GMT. After being out of contact for 10 hours, anxious staff at the mission’s control centre at Johns Hopkins University in Maryland broke out in applause on Tuesday after confirmation signals were received from the probe, which could have been seriously damaged by even the smallest particles. 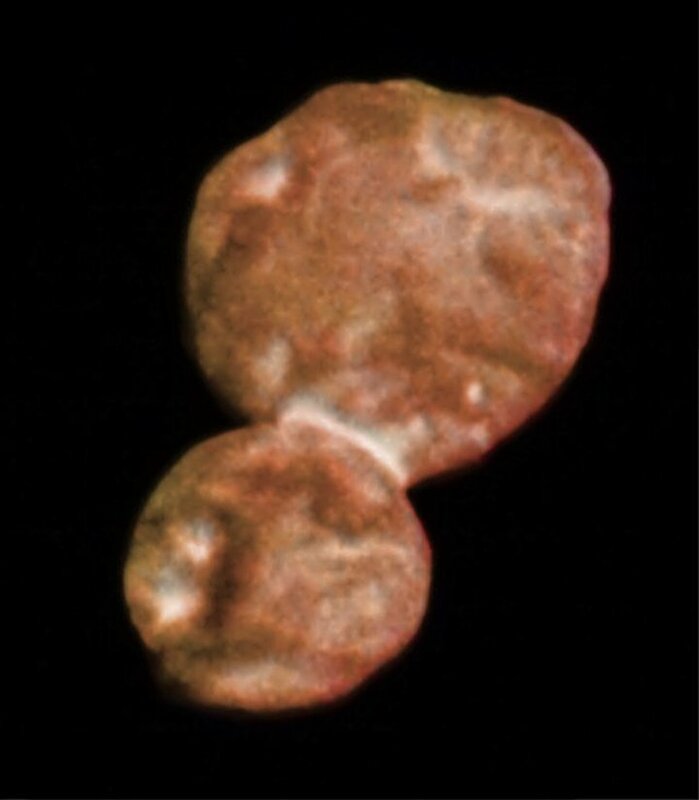 Ultima Thule lies 4bn miles (6.5bn km) from Earth in the Kuiper belt, a band of dwarf planets, space rocks and icy debris left over from the formation of the solar system 4.6bn years ago. Because of the distance, scientists had to wait 10 hours to learn whether the flyby had been successful. 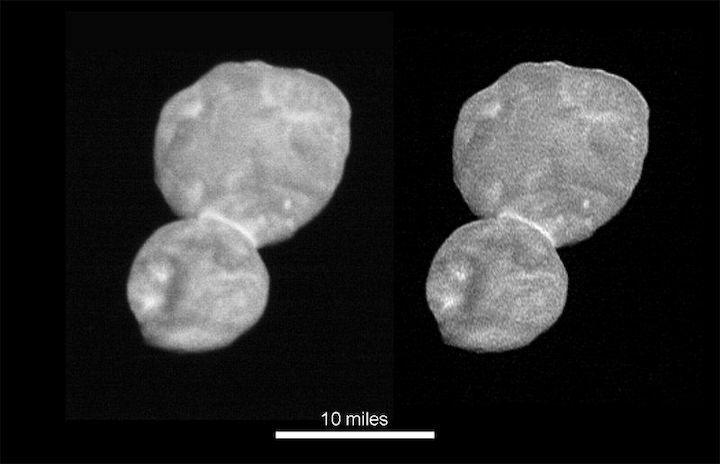 From being a small dot only known in the form of a number of pixels, Ultima Thule will soon be viewed as an “entirely new world”, according to Nasa, as further images are beamed back. The first pictures are expected to be published later this week, but the full download of the data will take 20 months to complete. 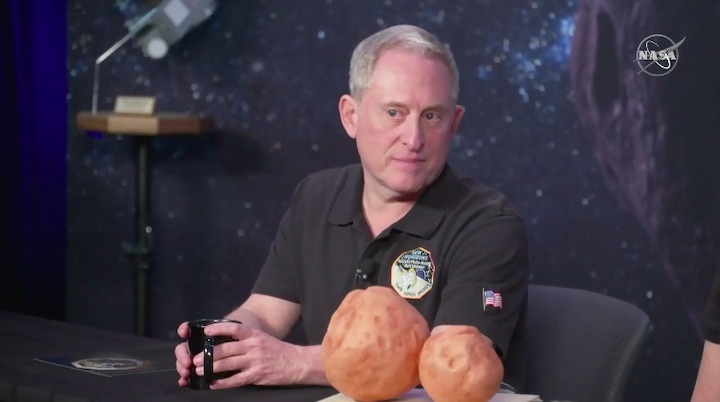 Alan Stern, principal investigator of the New Horizons mission, said images taken during the spacecraft’s approach suggested Ultima Thule is probably shaped like a bowling pin, with two bulbous ends. However, he said a possibility remained that it may be two separate objects locked in a tight orbit. New Horizons is so distant that mission scientists had no way of helping out with any last-minute glitches. Instead any final troubleshooting will have to have been handled by the probe’s onboard software. 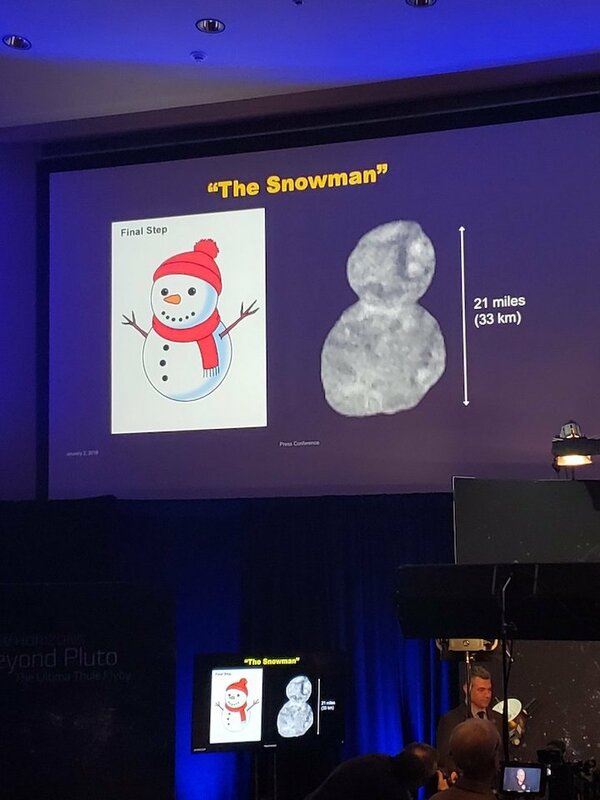 Jim Bridenstine, Nasa’s chief administrator, said in a tweeted statement: “In addition to being the first to explore Pluto, today New Horizons flew by the most distant object ever visited by a spacecraft and became the first to directly explore an object that holds remnants from the birth of our solar system. 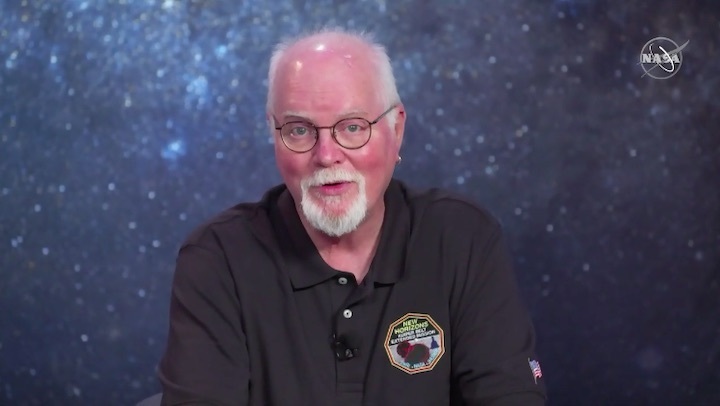 Hal Weaver, a research professor at Johns Hopkins University and a project scientist on the New Horizons mission, called the flyby a “once-in-a-lifetime opportunity”. “This is another great step in the exploration of our solar system,” he said. While some comets that streak through the solar system are thought to have originated in the Kuiper belt, space rocks as distant as Ultima Thule have remained on the outer edges of the solar system since birth. 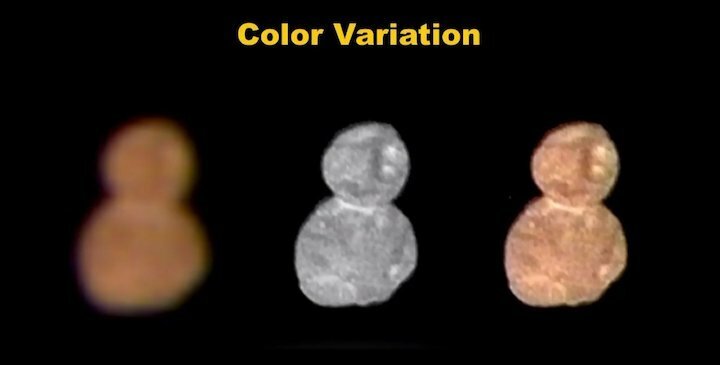 For this reason it is thought that objects such as Ultima Thule, the so-called cold classical Kuiper belt objects, look the same today as they did at the dawn of the solar system. 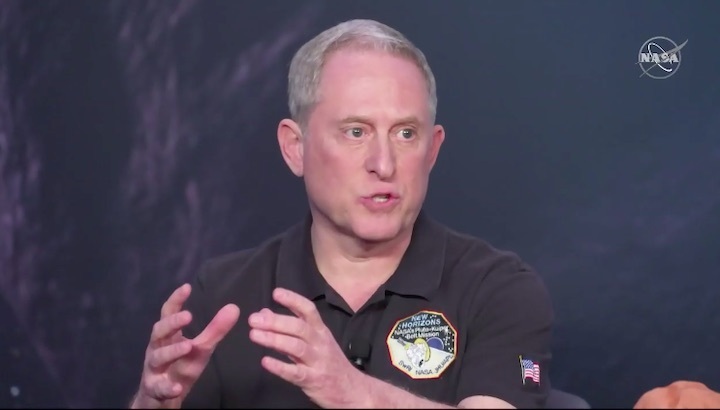 Bowman said: “We can build a spacecraft on Earth, and we send it out billions of miles away from Earth, and it sends us back all this wonderful data that we get to look at and learn more about our world, our solar system. 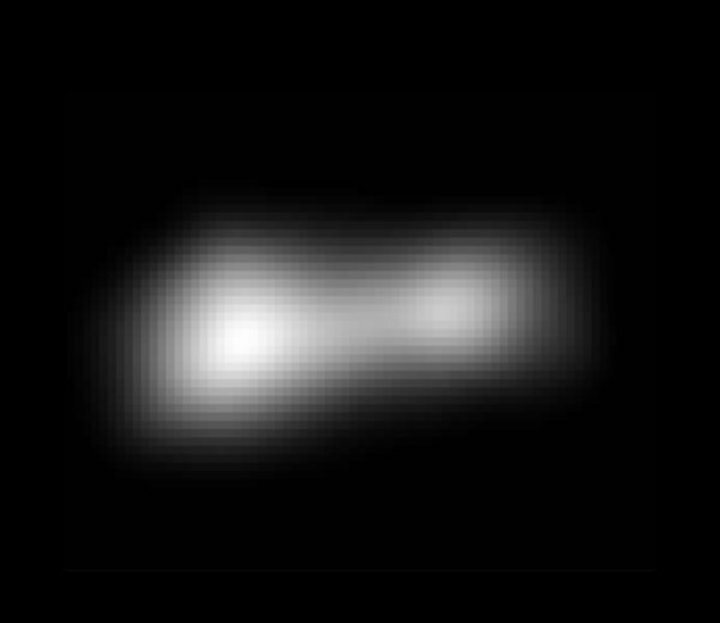 Just over 24 hours before its closest approach to Kuiper Belt object Ultima Thule, the New Horizons spacecraft has sent back the first images that begin to reveal Ultima's shape. The original images have a pixel size of 6 miles (10 kilometers), not much smaller than Ultima's estimated size of 20 miles (30 km), so Ultima is only about 3 pixels across (left panel). However, image-sharpening techniques combining multiple images show that it is elongated, perhaps twice as long as it is wide (right panel). New Horizons was approximately 1.2 million miles (1.9 million km) from Ultima when this image was taken on Dec. 30, 2018. LAUREL, Md. 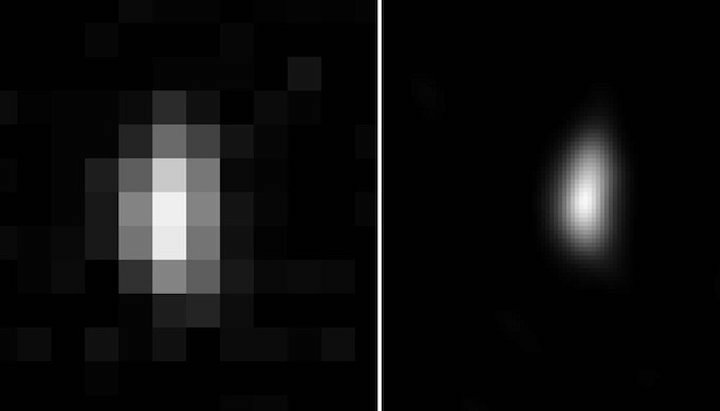 — After months of staring at only a single pixel of their target, members of NASA's New Horizons mission team now have considerably more to look at. 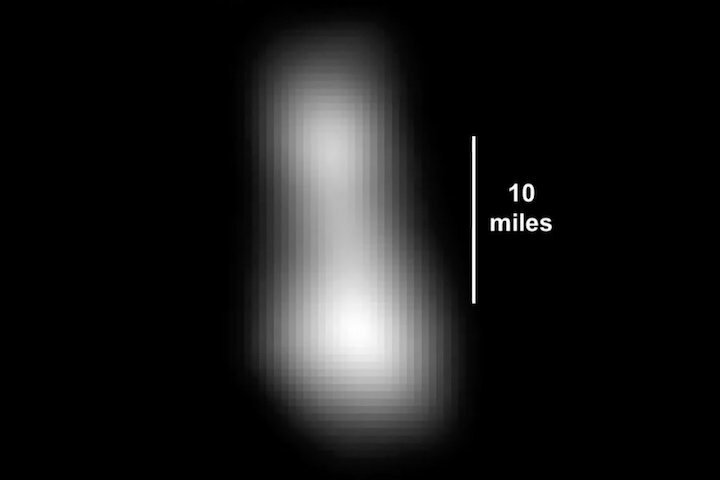 On the eve of its historic flyby, the spacecraft has sent home an image that confirms its distant target, Ultima Thule, has an elongated shape. 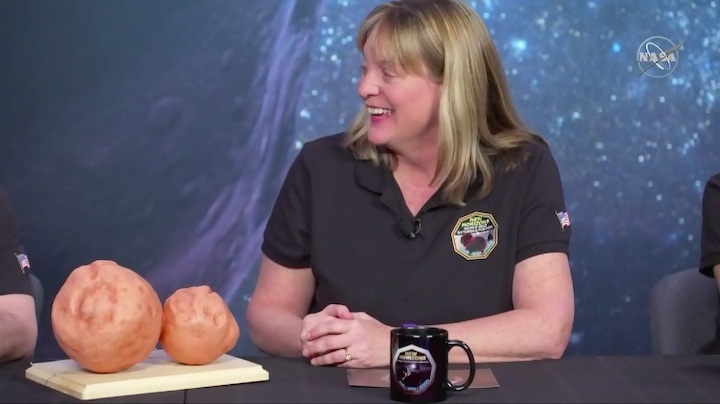 "We know it's not round," John Spencer, a New Horizons deputy project scientist, told reporters today (Mon, Dec 31). "We just don't have the details to see it yet," added Spencer, who is based at the Southwest Research Institute (SwRI) in Colorado. When New Horizons launched in 2006, it had Pluto in its sights. After the July 2015 flyby of that dwarf planet, the spacecraft had enough fuel to visit at least one more object. The Kuiper Belt object (KBO) 2014 MU69, nicknamed Ultima Thule, was selected partly because it was close enough for the spacecraft to visit before it ran out of fuel. But the new target is so far away and so faint that NASA's Hubble Space Telescope was the only instrument that could see it. 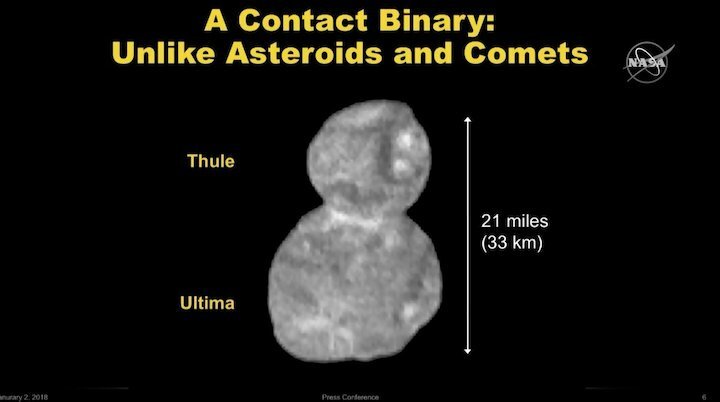 As a result, Ultima Thule wasn't even discovered until 2014. By studying how the KBO blocked the light streaming toward Earth fromthree distant stars, astronomers could tease out a little more information about its shape, as well as its path around the sun. But until it came into New Horizons' view, Ultima remained little more than a distant dot hardly different from the stars behind it. In August 2018, the spacecraft was finally able to capture apixel-wide image of its next target. In the newly released image, which the team received on Sunday (Dec. 30), Ultima is a few pixels wide. A processed version of the raw photo shows the object as an elongated blob. "There's a lot of chatter in the science team room," Spencer said. "We're doing everything we can with so little information." But the science team members on stage declined to speculate about Ultima's true nature. "We know that anything we say is going to be wrong tomorrow," Spencer said. The team is expecting the images that will come down in the coming days to be far more intricate, with the most-detailed image being distributed on Thursday (Jan. 3). That doesn't mean the team isn't giving the new image their full attention. "I've never seen so many people so excited about two pixels," Stern said, his face advertising his own excitement. "We've only ever had one pixel before," Spencer added. — NASA entered the new year with a new horizon, the farthest-ever encounter with a planetary object. The agency's New Horizons probe, which in 2015 was the first to zip past Pluto, flew by the even more distant small world "Ultima Thule" (officially 2014 MU69) on New Year's Day (Tuesday, Jan. 1). It was the first close pass by a spacecraft of a Kuiper Belt object, one of the primordial building blocks of the planets in our solar system. 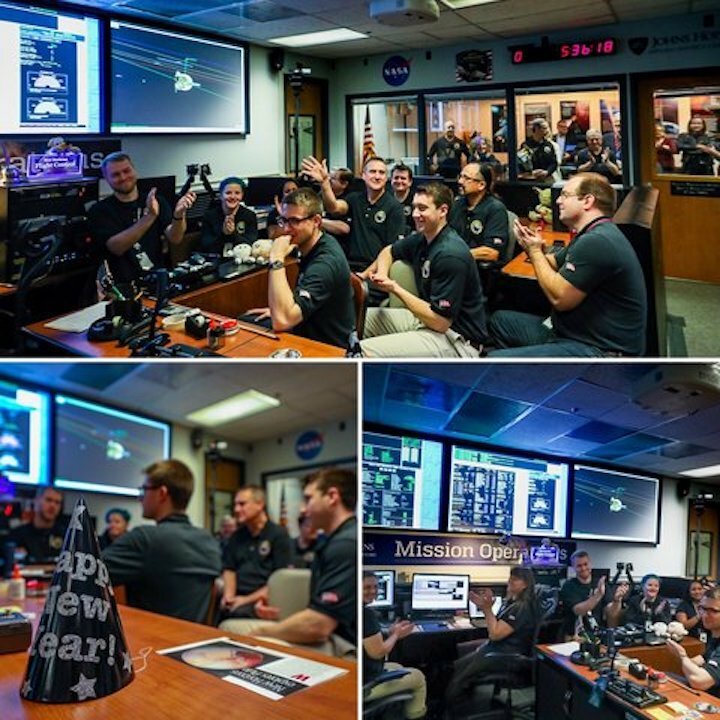 Mission managers and scientists, together with their family members and invited guests at the Johns Hopkins University Applied Physics Laboratory (APL) in Laurel, Maryland, joined in a New Year's Eve-style countdown to the flyby's closest approach, just 33 minutes after doing the same to welcome in 2019. "5, 4, 3, 2, 1... go New Horizons!" 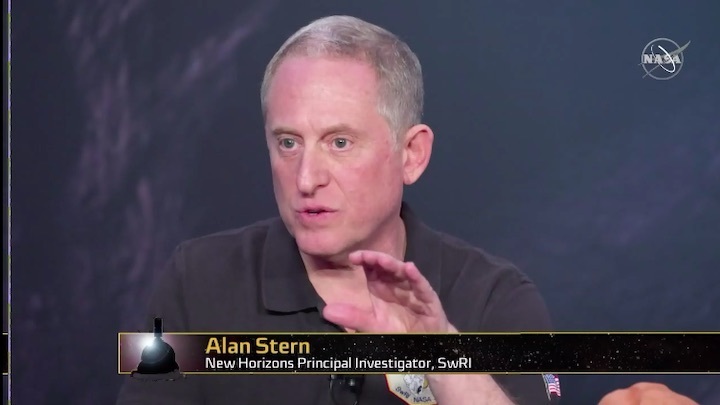 exclaimed Alan Stern, principal investigator for the New Horizons mission. "Go New Horizons! Woohoo!" Traveling at about 32,000 miles per hour (14 kilometers per second), the New Horizons probe came within about 2,200 miles (3,500 kilometers) of Ultima Thule (pronounced "Ultima Too-lee") at 12:33 a.m. EST (0533 GMT). The spacecraft, which is about the size and shape of a baby grand piano, was programmed to record science data and capture images of the city-size world, of which little was known about in advance. "We hardly know anything about it, even after the three and a half years of chasing it down and studying it with the Hubble Space Telescope," said Stern at a pre-flyby press conference. "We have only been able to learn a few things about it. We know it is about 30 km [18 miles] in size. We know that it is red. We know its orbit very precisely." "We don't know much else, other than it has an irregular shape. 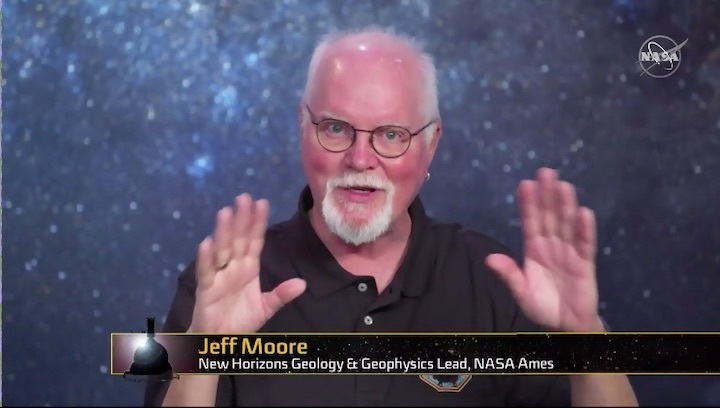 That is all going to change because New Horizons is bringing these amazing sensors there," he said. 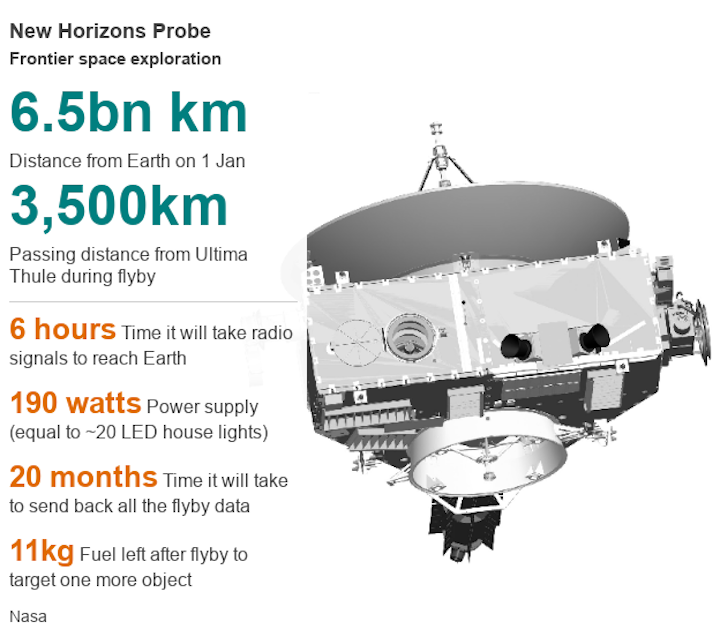 The flyby, which took place at a distance of about 4.1 billion miles (6.6 billion km) from Earth and about 1 billion miles (1.6 billion km) further out from the orbit of Pluto, took only seconds to complete, but New Horizons will need the next 20 months to transmit the seven gigabytes of data it was expected to collect at about 1,000 bits per second. 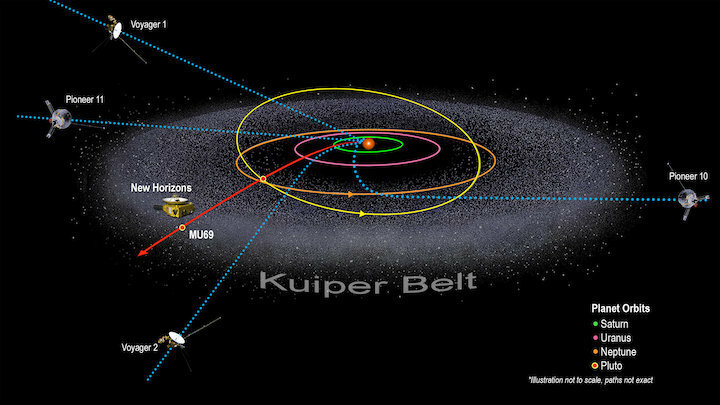 Radio signals from the spacecraft take more than six hours to traverse the distance from the Kuiper Belt to Earth. The first close images are expected to be released on Wednesday (Jan. 2). 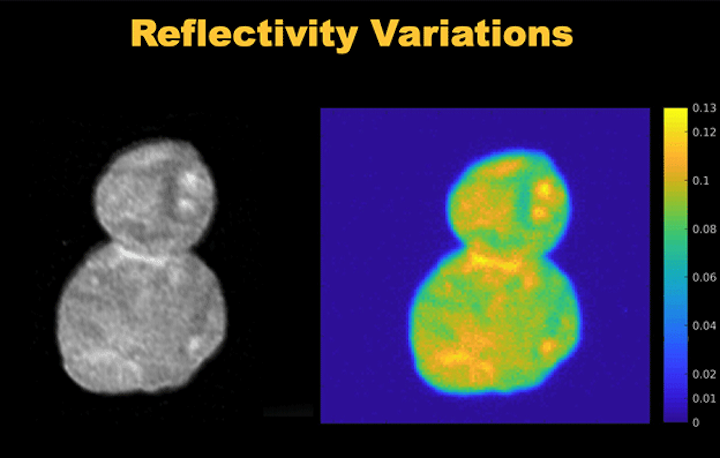 Prior to the flyby, the best that New Horizons' Long Range Reconnaissance Imager (LORRI) was able to capture rendered Ultima Thule at only two pixels wide, which was an improvement over the single point of light that had been the only available view since Ultima was discovered in 2014. New Horizons flew past Ultima Thule at an approach that was about three times closer than it had been to Pluto on July 14, 2005. Using its seven on board science instruments, New Horizons was pre-programmed to to collect geological, geophysical, compositional and plasma data on Ultima. It was also to search for any satellites (or moons), rings and atmosphere around the body. The data may help answer some of scientists' key questions about the formation of planets, as well as the nature of "cold classical" Kuiper Belt objects that follow circular orbits in the same plane as the planets. "We want to understand how objects like Ultima were assembled," Stern said. "There are two basic theories for how the building blocks for planets were assembled. In one case, you put objects together piece by piece. And then in the other theory, they are built by a hail storm of pebbles, boulders and other types of particles. Depending on whether we see a heterogeneous object or a monolithic object, we might be able to find out which of those theories is correct." The New Horizons spacecraft launched from Earth on Jan. 19, 2006. Following its encounter with Pluto nine years later, the spacecraft was assigned the extended mission to explore the Kuiper Belt, study distant Kuiper Belt objects, heliospheric dust and plasma science as far out as 50 times the distance from Earth to the Sun through 2021. 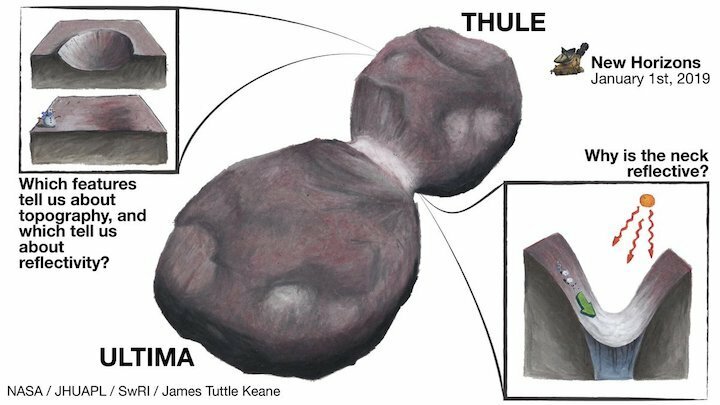 New Horizons' flyby of Ultima Thule, history's first encounter with an object that was discovered after the mission to it began, continues a 60-year legacy of NASA pioneering space exploration. 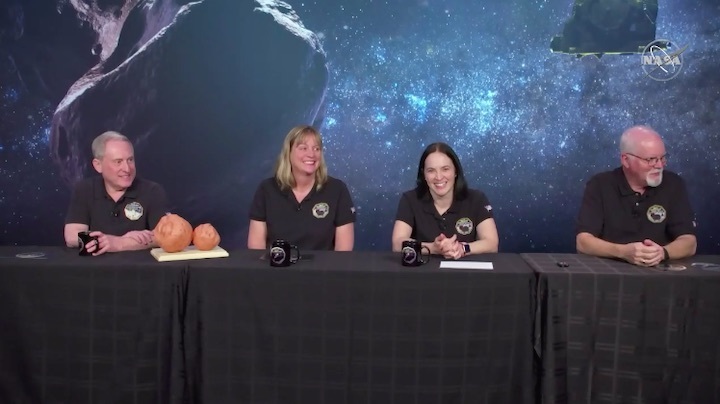 "I think it is fitting that this flyby of Ultima Thule is at the interface of the 60th anniversary of [the launch of the first American satellite] Explorer 1 in 2018 and the 50th anniversary of Apollo 11 [the first moon landing mission] in 2019. 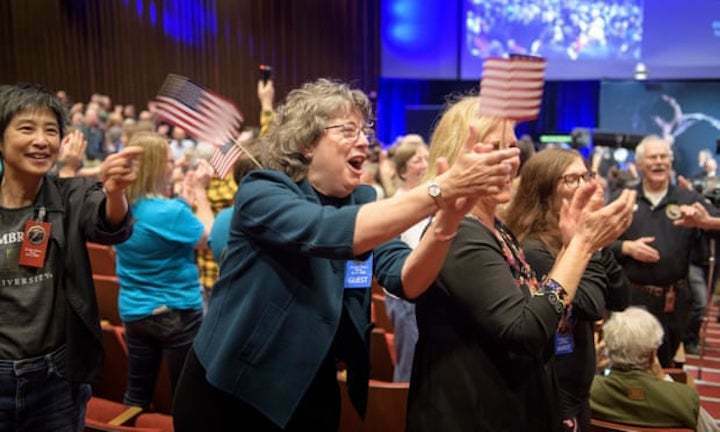 To me this milestone for New Horizons is full everything that NASA and NASA science is all about," Thomas Zurbuchen, NASA's Associate Administrator for Science at NASA Headquarters in Washington, D.C., wrote in an email to Stern. "Fifty years ago, the first humans walked on a different world, the moon, as a result of NASA," said Stern. 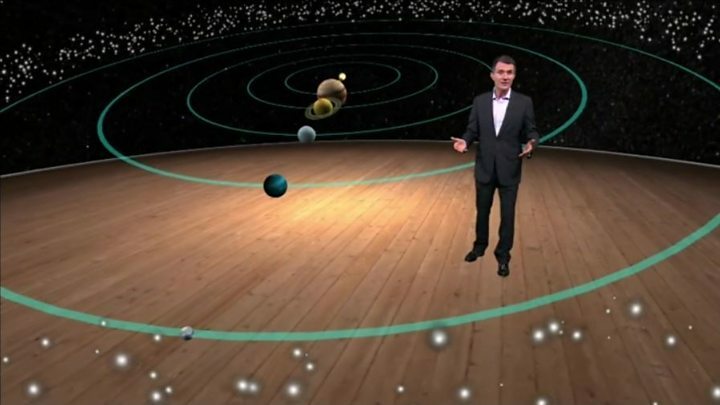 "And NASA was actually the first space agency to reach every planet in the solar system, from the closest planets, Venus and Mars, to the farthest, Pluto. And now we are out there going even farther." LAUREL, Md. — After you’ve participated in NASA’s New Horizons mission to the edge of the solar system, and written a rock anthem for the mission as well, what is there left to do? 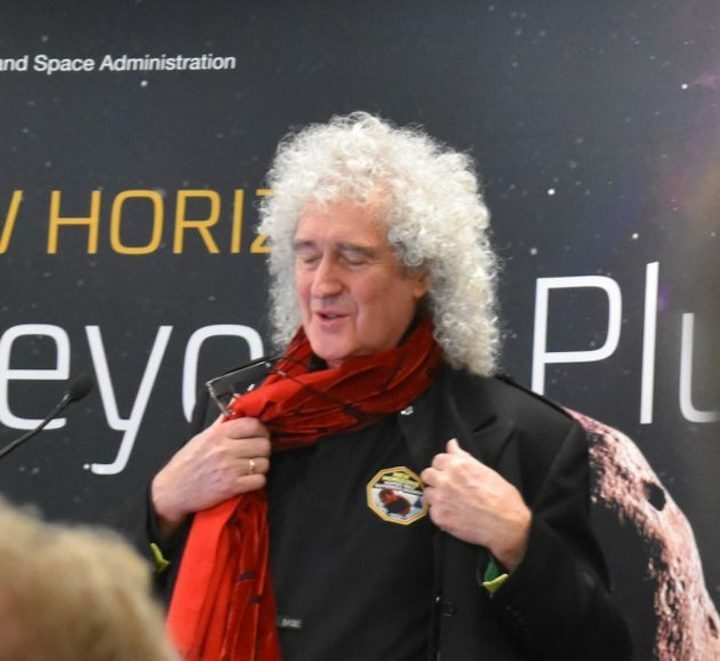 For Brian May, the lead guitarist for the rock band Queen who went on to earn a Ph.D. in astrophysics, maybe it’s taking a trip to space. Then, after a moment of reflection, he changed his tune. He also might fancy a trip around the moon, like the one that Japanese billionaire Yusaku Maezawa plans to take on SpaceX’s Starship in the 2020s. Hours later, May took the wraps off a song that he wrote to celebrate New Horizons’ flyby past Ultima Thule, an icy object more than 4 billion miles from Earth. 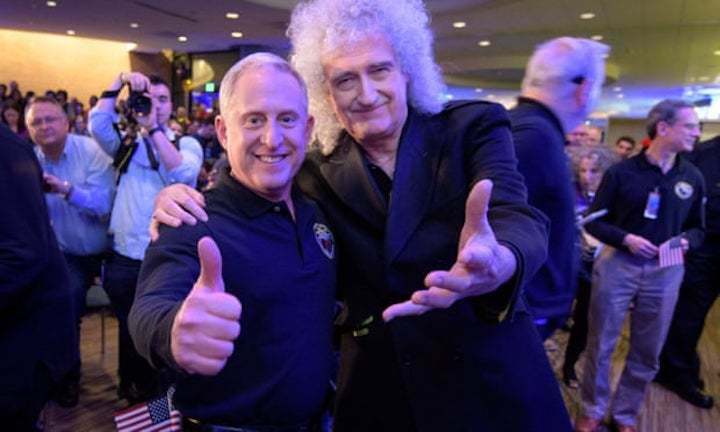 May said he wrote the song in response to a request from Alan Stern, the mission’s principal investigator. But he quickly embraced the idea of writing a rock song that paid tribute to explorers of the farthest frontiers, including the New Horizons spacecraft. “This has gone way beyond where anyone else has gone before,” May said. Now that the song has made its debut, it will be made available via iTunes, YouTube and other streaming outlets, May said. 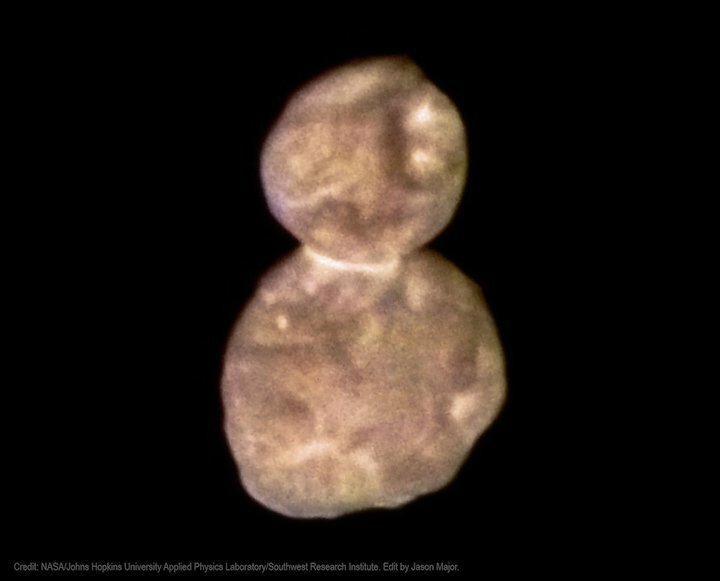 So what about coming up with that rhyme for “Ultima Thule”? May said he still shies away from that challenge. “Think I would go and make a fool-ee of myself?” he asked. May stressed that he was attending this week’s festivities as a scientist rather than a rock star. “I’m not here as a celebrity,” he said. “I’m here to work, and I love it.” His specialty is creating 3-D images of astronomical objects, including the Rosetta mission’s view of Comet 67P/Churyumov-Gerasimenko and New Horizons’ view of Pluto — and he’s hoping the Ultima Thule flyby will yield a fresh batch of stereoscopic images. May says he’s happy with the way he was portrayed in “Bohemian Rhapsody,”the film about Queen and its flamboyant lead vocalist, the late Freddie Mercury. May had warm words of praise for the actor who played May’s part, Gwilym Lee — particularly for his ability to mimic May’s voice. “He even fooled my kids,” May said. The way May tells it, his children were sure that his own voice had been dubbed into the movie. 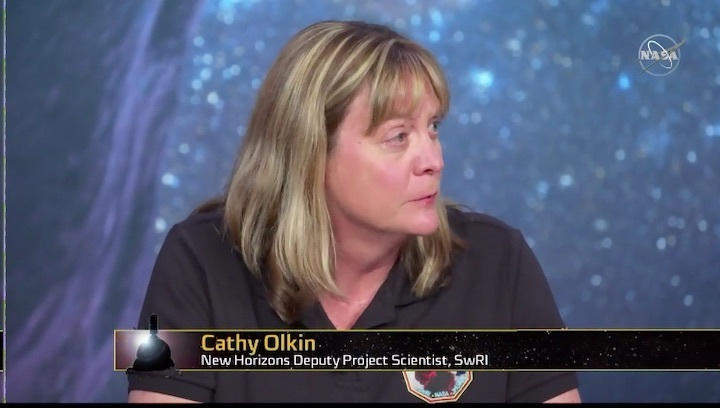 "We have a healthy spacecraft," announced Mission Operations Manager Alice Bowman. "We've just accomplished the most distant flyby." This first radio message contained only engineering information on the status of the spacecraft, but it included confirmation that New Horizons executed its autonomous flyby observations as instructed and that the probe's onboard memory was full. If there is one note of caution it is that the timing and orientation of the spacecraft had to be spot on if the probe was not to shoot pictures of empty space! As a result, there'll continue to be some anxiety until the data can be examined. "The highest resolution images taken at closest approach required perfect pointing, almost," said Project Scientist Hal Weaver. "We think, based on everything we've seen so far, that was achieved." Ultima is in what's termed the Kuiper belt - the band of frozen material that orbits the Sun more than 2 billion km further out than the eighth of the classical planets, Neptune; and 1.5 billion km beyond even the dwarf planet Pluto which New Horizons visited in 2015. It's estimated there are hundreds of thousands of Kuiper members like Ultima, and their frigid state almost certainly holds clues to the formation conditions of the Solar System 4.6 billion years ago. The vast separation between New Horizons and Earth, coupled with the probe's small, 15-watt transmitter, mean data rates are glacial, however. The first of the very highest resolution pictures are not expected on Earth until February. 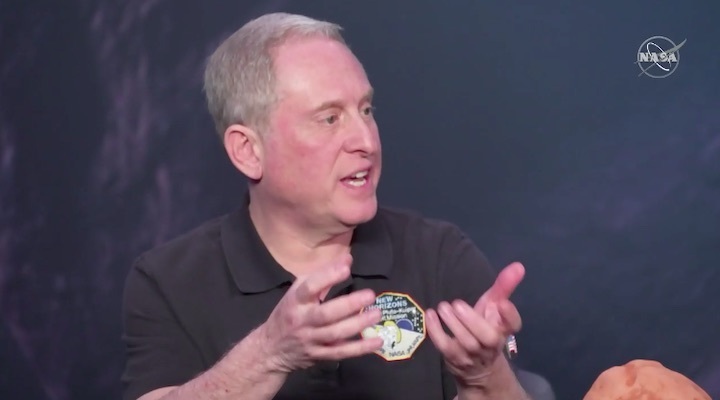 But this wouldn't delay the science, said Principal Investigator Alan Stern. "The [lower resolution] images that come down this week will already reveal the basic geology and structure of Ultima for us, and we're going to start writing our first scientific paper next week," he told reporters. Even just the final picture released from the approach phase to the flyby contained tantalising information. Ultima appears in it as just a blob, but immediately it has allowed researchers to refine their estimate of the object's size - about 35km by 15km. Another factor is that Ultima is small (about 30km across), and this means it doesn't have the type of "geological engine" that in larger objects will rework their composition. 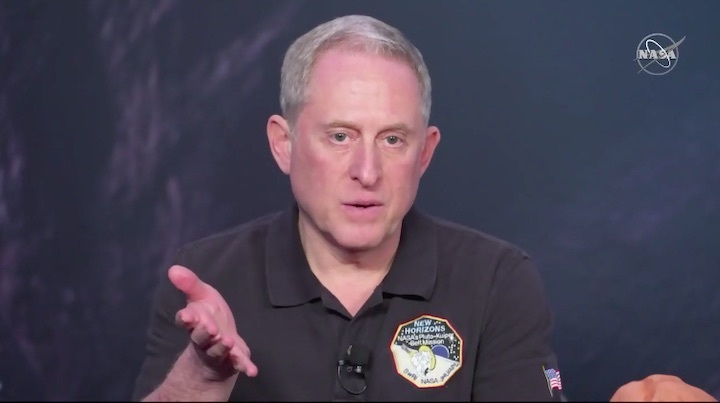 Alan Stern said: "Everything that we're going to learn about Ultima - from its composition to its geology, to how it was originally assembled, whether it has satellites and an atmosphere, and that kind of thing - is going to teach us about the original formation conditions in the Solar System that all the other objects we've gone out and orbited, flown by and landed on can't tell us because they're either large and evolve, or they are warm. Ultima is unique." The longevity of New Horizon's plutonium battery may even allow it to record its exit from the Solar System. The two 1970s Voyager missions have both now left the heliosphere - the bubble of gas blown off our Sun (one definition of the Solar System's domain). Voyager 2 only recently did it, in November. 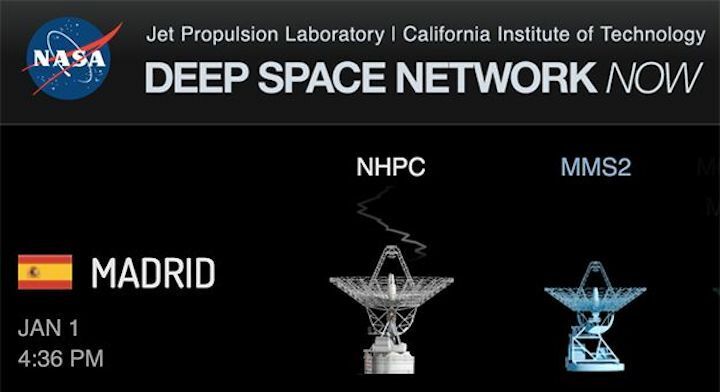 The Most Distant Word Ever Visited by a Spacecraft! 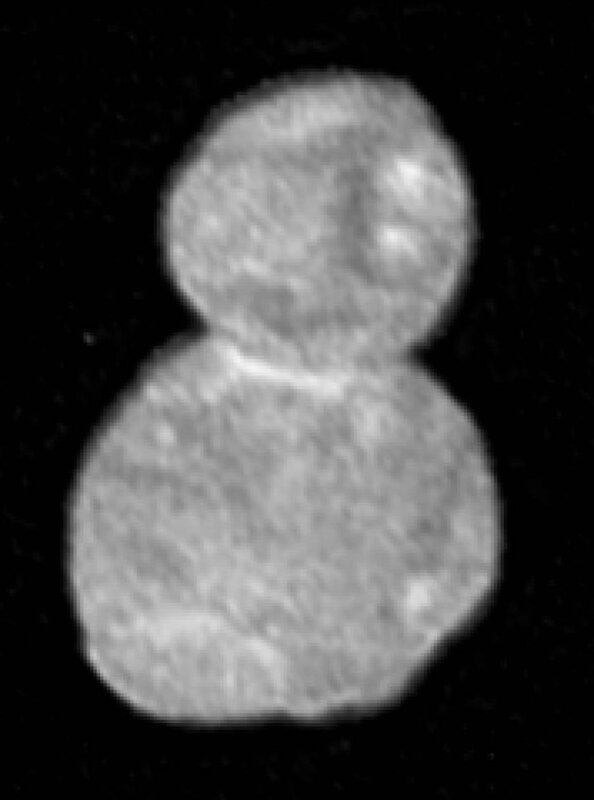 Ultima Thule (2014 MU69) as seen by New Horizons spacecraft. It’s a snowman! 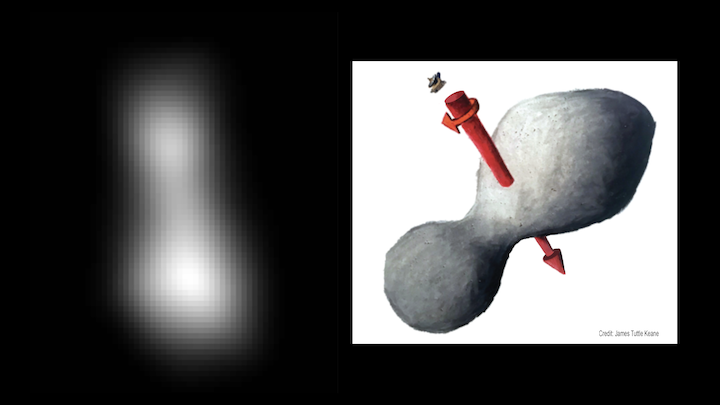 The latest images from NASA’s fly-by of space rock 2014 MU69 — the most distant world ever visited by humanity — reveal that it has two asymmetrical lobes. 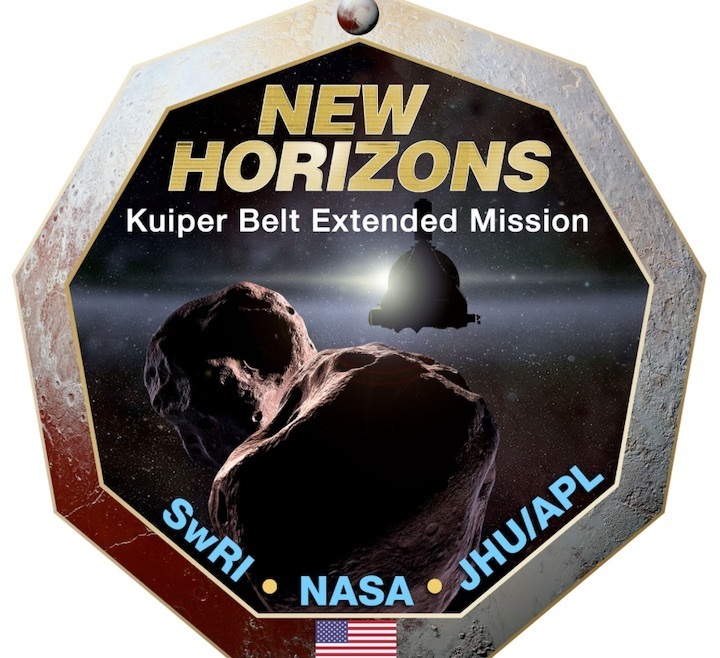 During its fleeting pass over Ultima Thule, New Horizons filled its hard drive with about 7 gigabytes of data about the tiny Kuiper Belt Object (KBO). With the observations complete, it must begin the arduous task of sending that data back home.